For an interview in the German magazine STERN that updates Uta’s life, click here. For an English translation of the article, click here. Born 1965 in Leipzig, Germany, to parents who were both physicians. Attended undergraduate studies at Humboldt University in East Berlin before the Berlin Wall came down in November 1989. Continued her medical studies at the Freie Universität in West Berlin and, after passing her final exams (“Physikum”) in 1994, decided to focus her attention on running professionally. January 5, 1990, left her life behind and almost penniless, together with her coach, Dieter Hogen, moved from East Germany to pursue her lifelong goal to run and win the marathon that stood for freedom in her mind: the Boston Marathon. Two time Olympian, ranked the #1 woman marathon runner in the world in 1994 and 1995 and world record holder in the half marathon. 2006 Uta founded Take The Magic Step® as an international organization that promotes gradual positive lifestyle changes. 2008 Uta and Take The Magic Step business consultant Michael Reger created the Take The Magic Step Foundation™ to provide financial and logistical support to organizations that promote education, fitness, and health. The foundation’s mission is to improve the lives of underprivileged children and adults who lack education or face poor health or life-threatening illnesses through organizations already established to help others. Since 2012 Uta explores, in her history-inspired presentation ”Running To Freedom™,” the desire for change and how to find inspiration to reach your goals — one small step at a time. “I had my own ‘Running To Freedom’ journey,” explains Uta. The principals of ‘Running To Freedom’ apply to social, community, emotional, health, business, and personal development. Autumn 2016 Uta began writing columns for the German newspaper Die Welt, and since November 2017 for the German running magazine Laufzeit & Condition. She is currently writing her book, “Running To Freedom™” — a biographical self-help book, which shares life experiences and lessons learned while discussing the importance of self reflection, visualization, consciousness, personal and social freedoms. Uta divides her time between Take The Magic Step’s operations in Colorado, Florida, Massachusetts, Germany, and New Zealand, and her global speaking engagements, while also managing invitations to charity and running events. To contact Uta, click here. Former German record holder in the marathon: 2:21:45 (2 hours, 21 minutes, and 45 seconds). Recorded at the 1994 Boston Marathon. It was the third-fastest marathon result ever by a woman at that time. Former World record holder in the half marathon for almost two years: 67:58 (67 minutes and 58 seconds). Recorded at the 1995 Kyoto Half Marathon. It still is listed as the German record to this day. Winner of numerous road and cross-country races, and Masters competitions (40+) worldwide. She also participated in triathlon events. To read Uta’s Milestone Stories, please click here. © Copyright 2004-20018 by Uta Pippig and Take The Magic Step®. All Rights Reserved. Uta’s story, from her childhood in East Germany to her marathon wins in Boston, Berlin, and New York City, and her heartbreak at the Olympics, to her passion today for helping others through her charity work and her Take The Magic Step Foundation. 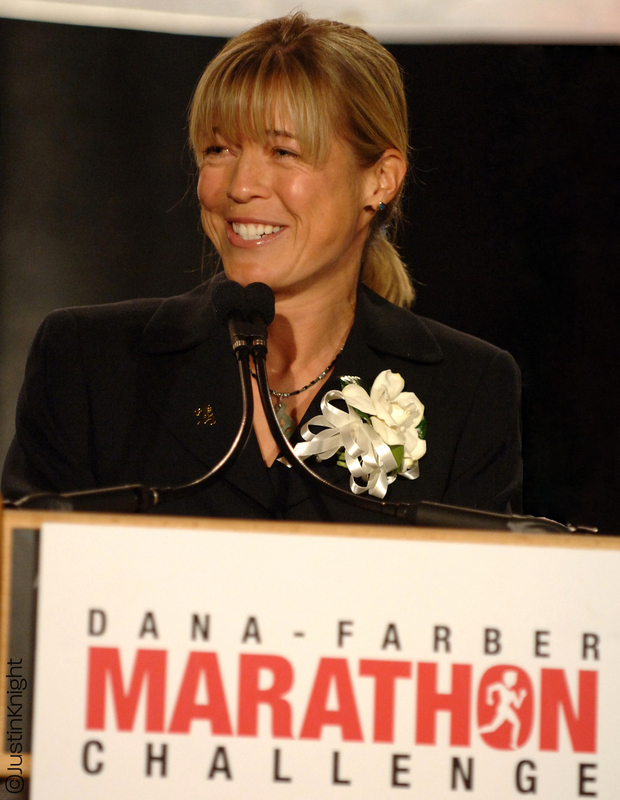 Uta's Marathon Winning Streak from 1992 until 1996 with 6 World Marathon Major Events, her Personal Bests, and a 'Race by Race" selection of Competitions from 1984 until 2003 with one additional fun run in 2005.